In this article we go over the Row Setting, Anniversary Reminder Setting, Ready Time Setting, Customer Detail Box Setting, Kitchen Ready Time Setting and Coupon Setting. 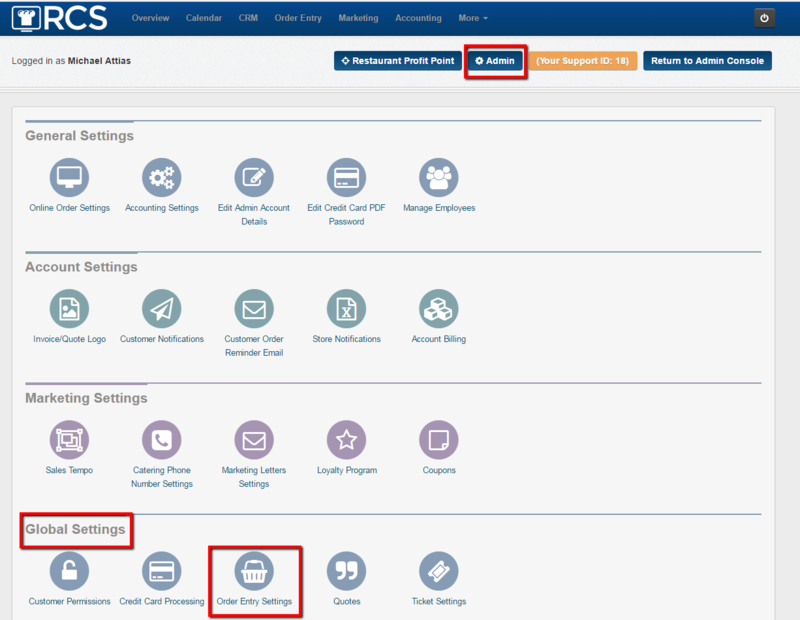 1 - First click on the Admin tab, next look for the Global Settings section then click on the Order Entry Settings bubble. 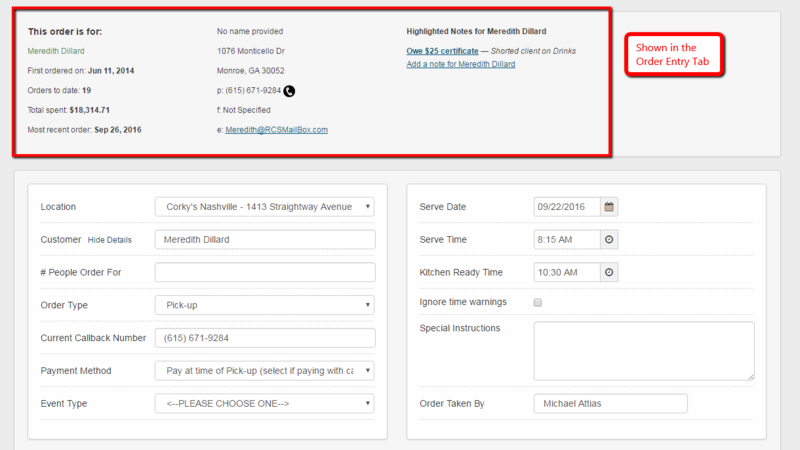 2 - Once you click on the Order Entry Settings bubble these links will appear. *Please note there is an article for each link. 3 - Next when you click on any of the links the following boxes will appear. 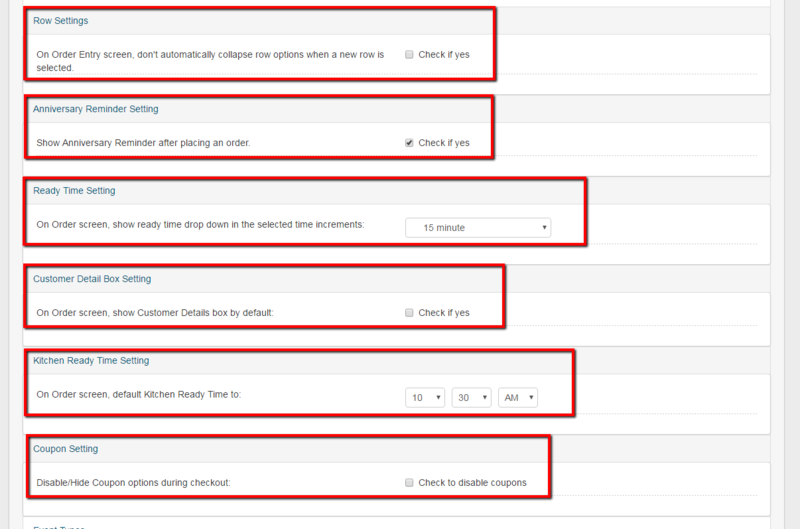 Row Setting - When under the Order Entry tab and you want to keep the rows for the menu items on the screen after clicking the green plus sign please check this box off. 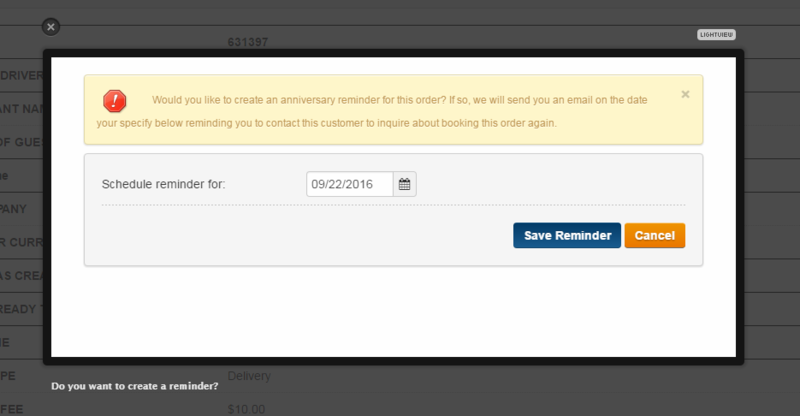 Anniversary Reminder Setting - If you do not want the automatic Anniversary reminder to pop up after placing an order or quote please check this box off. Customer Detail Box Setting - If you want the customer detail box found under the clients record in the CRM to always appear in the Order Entry Tab please check this box off. *Please note that if you decide that you do not want the customer box to show automatically you can always click on the Show Details link next to the Customer field and the Customer Detail Box will appear at the top of the page. **Once you click the Show Details link the information will be at the top and you can click on the Hide Details link to hide that information again. 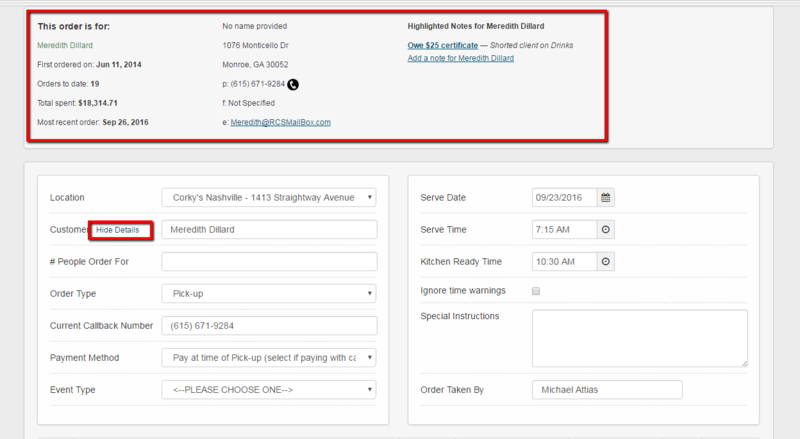 Kitchen Ready Time Setting - If you would like to have your Kitchen Ready Time on the Order Entry tab default to a specific time please set that time here. 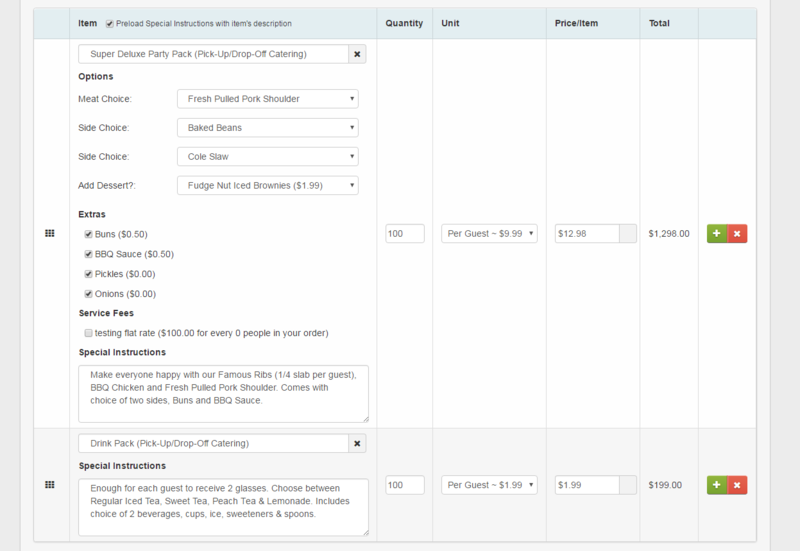 Coupon Setting - If you are not planning on offering your clients coupons and you do not want the coupon box to appear in the Order Entry tab please check this box off. These are some of the fields that you can customize in your CaterZen account.